Costs – How much should you pay for arbor care in New Orleans, Louisiana? Read our cost overview so you don’t pay too much. FAQs – While many types of trees will thrive in New Orleans, there are some that do better than others. Consider these and keep some local regulations in mind — read more. Services – Find a New Orleans arborist near you today! How Much Do Tree Services Cost in New Orleans? When it comes to getting rid of overgrown trees or unsightly shrubs, attempting this job yourself can be dangerous. 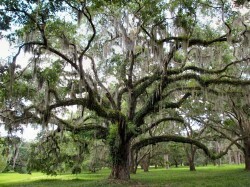 You may find yourself in need of the assistance of a New Orleans tree services professional. To help you prepare, here is a breakdown of how much these services may cost. 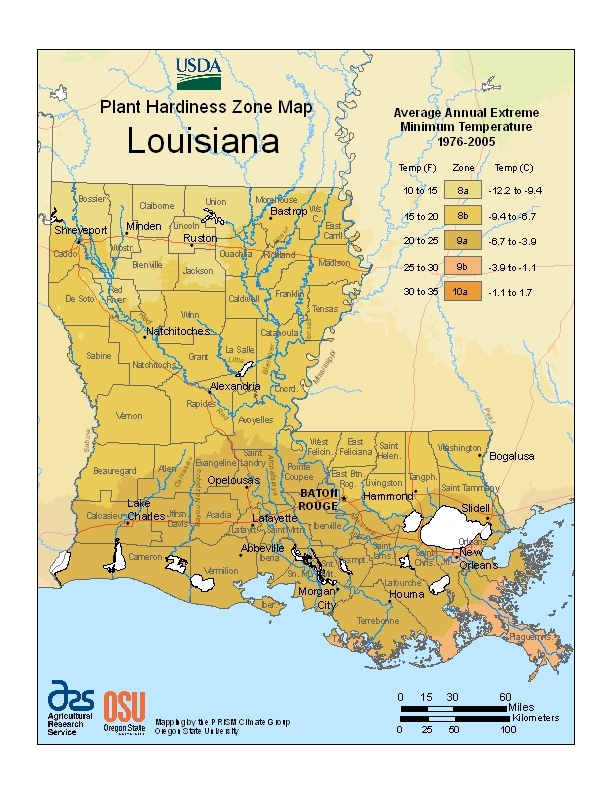 The costs of having a tree or shrub removed in New Orleans vary greatly, ranging from $290 for easier jobs to $1,494 for jobs that are more difficult. On average, most homeowners can expect to spend between $727 and $1,017 for these services. Large, obtrusive tree stumps can be difficult to get rid of. It may take the assistance of a tree removal service to ensure that this job is properly done. The exact cost of the removal may depend on the size of the stump and the depth of the roots. These jobs can range from $50 to $150 with the average job costing around $100. Once a tree has been planted, it will have to be maintained in order to prevent issues like overgrowth. New Orleans tree maintenance services can cost between $100 and $1,000 a year. On average, New Orleans homeowners can expect to spend between $391 and $585 a year on tree maintenance. If you have been considering planting or removing a tree in New Orleans, there are a few things you may need to know. From tree removal regulations to the best time of year to remove a tree, there are lots of factors that should be considered before taking action. To help you make an informed decision, here are a few things you should know about New Orleans tree services. The removal must be approved by the City’s Urban Forester. The New Orleans Parks and Parkways Department allows residents to remove stumps without a permit. It is highly recommended that residents hire a licensed and insured contractor to perform this job to avoid costly accidents. The best month to remove a tree in New Orleans is October. Trees are typically dormant around this time of year, which provides ideal conditions for tree removal and severe pruning. Light to moderate pruning can be done any time of the year. The City of New Orleans Parks and Parkways Department warns that existing utility lines may limit the size of a tree grown that may be planted beneath it. If a tree is too large, it may grow into the wires, which may disrupt utility services for residents in that area. Should a tree grow too large and begin obstructing a power line, the utility company may prune the tree to ensure that the wires may pass through the canopy. To avoid this involuntary pruning, the department recommends selecting and planting trees that will not become an obstruction. The largest magnolia tree in New Orleans resides at Loyola University. Live oak and bald cypress trees are also commonly the tallest in the region. The Louisiana state tree is a bald cypress. Also known as Taxodium distichum, this tree is a deciduous conifer that can be found all over the South and Gulf Coastal Plains region. The bald cypress is a large tree that can grow as tall as 80 to 130 feet. The trunk diameter is typically between 6 to 10 feet, but it can grow up to 17 feet on rare occasions. Draped in gray-brown to red-brown bark, these trees are produced from buds formed during the late fall months and pollinated in early winter. They are called “bald” cypress trees because they shed their leaves during winter months. New Orleans residents are permitted to grow fruit trees. They can be purchased from local nurseries throughout the city. For best results, take time to research the tree to make ensure that you are properly equipped to care for and harvest it. Fig trees are one of the most popular fruiting plants to grow in Louisiana. Other excellent fruits for the area include citrus, blueberry, pawpaw, persimmon and blackberry. 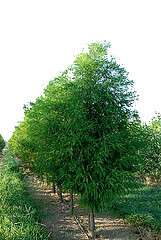 Nut-bearing trees suitable for the climate include pecan, walnut and hazelnut. Recently, many New Orleans trees became infected with citrus disease. This is a very serious disease that originated in Asia during the 1800s. Characterized by the production of green, misshapen fruit, citrus disease has killed millions of trees across the southeastern United States. Oftentimes, trees infected with citrus disease will die within a few years.